Welcome to My Triathlon Website. The land of Peter Reid, Lori Bowden-Reid, Lori-Lynn Leach, Stefan Jakobson, and a strong and dedicated triathlon community. This site is dedicated to those who have worked hard in supporting triathlon and to all triathletes worldwide. Wednesday February 23, 2005. I am back running. It's a long road back to fitness, then racing. Welcome to my running, duathlon and triathlon website. 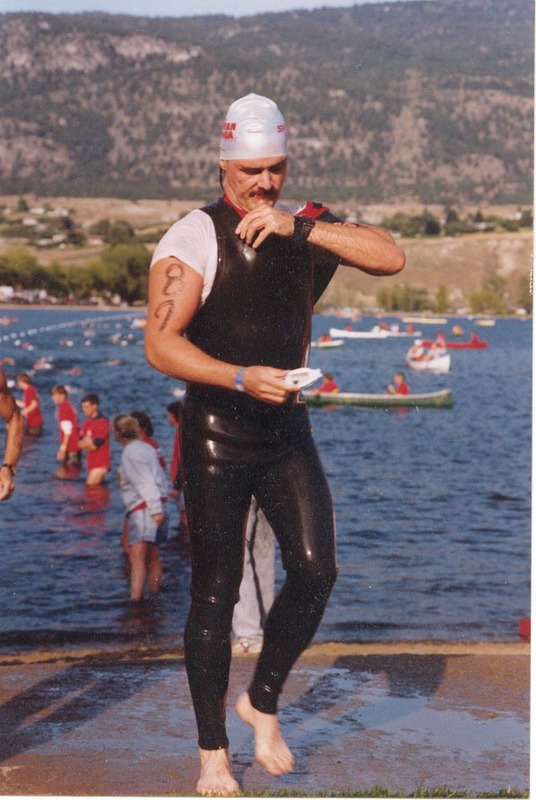 I'm Glen and since joining the YMCA triathlon clinic in January 1988 I have been training and racing triathlons, primarily in southern BC and northern Washington state. 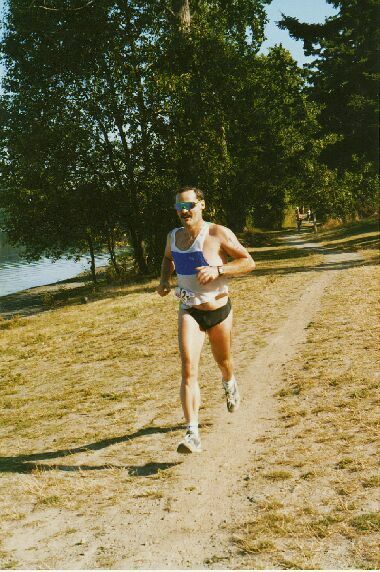 Page 2 and 3 cover my racing history from 1988 to 1998, my introduction to triathlon, in which I lost 50 lbs of fat in the first eight months of training while returning to an active lifestyle, and every race in that period is recorded here. The training section contains two pages: Page 4 concerns my personal training regime for 2000. 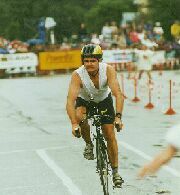 My swim, bike and run training will be examined along with my race schedule and goals for the year 2000. Page 5 closes the training section with training tips for triathletes returning from an absence and for novice triathletes as well as links to on-line training programs and websites with information to assist you in your training. Page 6 contains triathlon, duathlon and running photographs of pro's, local triathletes, my friends and myself through the years. Page 7 contain some links to triathlon, duathlon, running, biking, swimming sites. Training tips for Novice and Returning Triathletes.